The doctrine of the Trinity stands front and center of the Christian faith and its articulation. After a sustained drought of trinitarian engagement, the doctrine of the Trinity has increasingly resurged to the forefront of Evangelical confession. The second half of the twentieth century, however, saw a different kind of trinitarian theology developing, giving way to what has commonly been referred to as the "social Trinity." Social--or better, relational--trinitarianism has garnered a steady reaction from those holding to a classical doctrine of the Trinity, prompting a more careful and thorough re-reading of sources and bringing about not only a much more coherent view of early trinitarian development but also a strong critique of relational trinitarian offerings. Yet confusion remains. As Evangelicals get better at articulating the doctrine of the Trinity, and as the current and next generation of believers in various Christian traditions seek to be more trinitarian, the way forward for trinitarian theology has to choose between the relational and classical model, both being legitimate options. 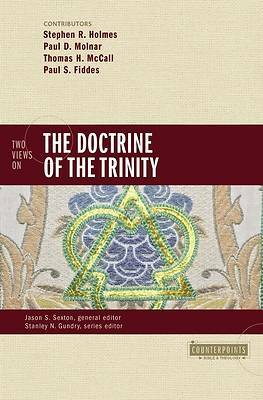 In this volume, leading contributors--one evangelical and one mainline/catholic representing each view--establish their models and approaches to the doctrine of the Trinity, each highlighting the strengths of his view in order to argue how it best reflects the orthodox perspective. In order to facilitate a genuine debate and to make sure that the key issues are teased out, each contributor addresses the same questions regarding their trinitarian methodology, doctrine, and its implications.